Throughout the week ...check what else is happening in March 2019! Newton Harrison on the Deep Wealth of this Nation: A vision for Scotland exhibition in the Gallery 17 days of exhibition! Event description: The Barn is delighted to be exhibiting this work from Newton Harrison and the Harrison Studio. Stall at Aberdeen Health Village whole week! Event description: This will consist of a table and display wall with leaflets, posters and more information for people to look at and pick up. The Health Village is open from Monday to Friday 7.30am - 5.30pm (clinics and services for the public are between 9am and 5pm). Further details: No booking required, free event. Pecha Kucha before climate week! Event description: Join Pecha Kucha for an evening of fast paced visual talks exploring themes related to the environment. Hear about the exciting projects/research going on in Aberdeen. Trail/Climate Change, the sea and me whole week! Event description: Climate change is global but given that Earth is actually more than 70% water, how are the oceans being affected? 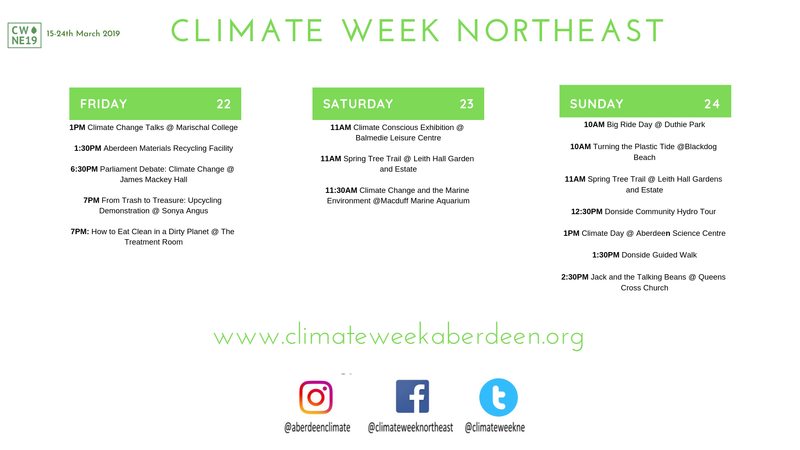 Take part in an exciting climate trail at Macduff Marine Aquarium and discover how climate change is affecting the sea during our feed shows and talks throughout CWNE 2019. Further details: Usual entry fees (adult £7.25, child 3-4y £2.90, child 5-15y £4.25, senior £5.95). Scottish Workplace Journey Challenge whole month! Event description: You are invited to take part in the award-winning Scottish Workplace Journey Challenge this March. Compete as an individual, a team or as part of your workplace by logging the active or sustainable journeys you make to, from and for work. Simply register online to log the journeys you make by foot, bike, public transport and car-share. Over £4,500 worth of prizes are up for grabs, including cinema tickets, Kindles and high street vouchers. Register before 1st March to enter the Early Bird prize draw where you can win one of ten £30 Tiso vouchers. Twilight Bookbug Session post climate week! Event description: Come and take part in our post-climate week twilight Bookbug sessions, in the run up to Earth Hour. Songs, story and rhymes will all be linked to our planet and will be delivered by lamplight! If you have a wind up torch bring that along too so you can take part and create your own light. Bookbug sessions are fun and interactive for children aged 0 - 5 years. Location: Aberdeenshire libraries on March 25th Aboyne Library 6pm - 6:30pm / 26th Ellon Library 6pm - 6:30pm / 27th Fraserburgh Library 6pm - 6:30pm / 28th Stonehaven Library 6pm - 6:30pm / 29th Inverurie Library 6pm - 6:30pm / 30th Ballater Library 4:15pm - 4:45pm. Further details: Free event, but booking is essential as spaces are limited. To book your space contact the library. You can follow Aberdeenshire Libraries on Facebook, or download Library App. For exact time and dates look up your local library. Event description: Calling all eco-tots! Come for an explore around the wonderful Wild Garden at the Barn with Mandy Tulloch of Mud Pies to celebrate the start of CWNE 2019. Look for signs of spring, have a cosy outdoor snack and collect some natural treasures to make something special to take home. Please dress warm in wellies and waterproofs. Ages 2-5. Further details: £5 per child (accompanying adult free). Booking online is essential. Event description: No one likes to see rubbish on the beach, in fact the litter we see washed up on the shore line represents only about 15% of the marine litter in the oceans. Come and help us tackle this problem by cleaning our local beaches in Macduff and Banff. Further details: Volunteers to meet at the aquarium at 12 noon and we will coordinate the cleaning parties from there. Bags and litter pickers will be provided although volunteers should bring their own work gloves, wear sturdy shoes and dress appropriately for the weather. Climate, Justice & Aberdeen new event! 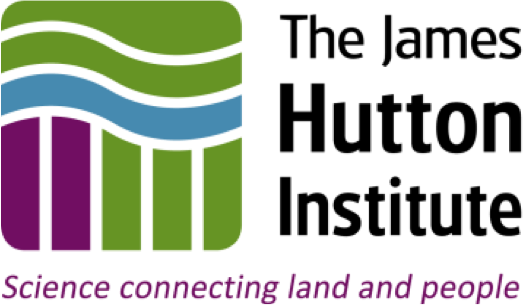 Event description: How can we take action on climate change that is fair and just for the people most impacted by it? Whether that is people in countries already feeling the consequences of extreme weather, young people whose futures are at stake or workers in the fossil fuel industry?Join Friends of the Earth Scotland for an evening of discussion to kick off Climate Week North East. We will be joined by a range of fascinating speakers, bringing together international, trade union and youth perspectives on climate change. Location: New Kings, Room NK14, University of Aberdeen, AB24 3EB. Further details: Check here for details. Event description: The red squirrel is the UK’s only native squirrel species and was once a common sight across all of mainland Britain but now is mainly found in Scotland. Join the Countryside Rangers on an early morning journey to try and find signs of the red squirrel population in Hazelhead Park. Perhaps you’ll be lucky enough to see one of the squirrels! Location: Hazlehead Woods (meet at the far end of the West Chapel Hazlehead Crematorium car park. Stagecoach X17 goes to Skene Road). Further details: Perfect for adults who like to get up early! Please wear sturdy footwear and clothing suitable for the weather and bring a hot drink if you wish. Booking essential by phoning the Countryside Rangers on 01224 326429 or countrysideranger@aberdeencity.gov.uk. Free event, but donations to the Countryside Ranger Service welcome. Event description: everyone welcome, just bring a bike. The ride will be easy and slow, led by trained leaders. It will finish before 1pm. Route to be decided but will involve a coffee shop. Further details: Free event, everyone welcome, just bring a bike. See http://www.ctcgrampian.org.uk/ for more details. Squirrel Events Breakfast with Rangers special offer! Event description: If you attend both squirrel events on March 16th (Silent Squirrel Spot Safari 8am & Squirrel Woodland Management 10:30am) the Countryside Rangers invite you to have a simple breakfast in the Ranger base on Groats Road. 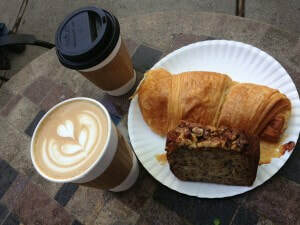 We will provide hot drinks, a warm room, croissants and cereals. Further details: In case of any questions, please phone the Countryside Rangers on 01224 326429 or countrysideranger@aberdeencity.gov.uk. Free event. Squirrel Woodland Management Green Family Fun Day! Event description: Red squirrels have once again been seen in the woods of Hazlehead Park! This is partly due to removal of many of the grey squirrels, but also encouraging the regeneration of Scots pines that are the squirrel’s favourite food. Come help the Rangers get rid of spruce saplings and increase the chance of seeing red squirrels in this lovely part of the city. Further details: Children over the age of 5 welcome to take part. Gloves, tools and hot drinks will be provided but please bring a packed lunch. Please wear sturdy footwear and clothing suitable for the weather. Booking is essential by phoning the Countryside Rangers on 01224 326429 or countrysideranger@aberdeencity.gov.uk. Free event. Event description: Come help us manage the small woodland at Portlethen Moss removing tree guards, placing bat and bird boxes and building up our natural dams. Gloves and equipment will be provided, please wear warm clothing and wellies or boots. All welcome. Further details: To book contact the Kincardine and Mearns Ranger on 07768704671. Buses: Bluebird 7B Aberdeen to Stonehaven and train from/to Aberdeen. Free event. Event description: Join us for a day of Family fun green style! 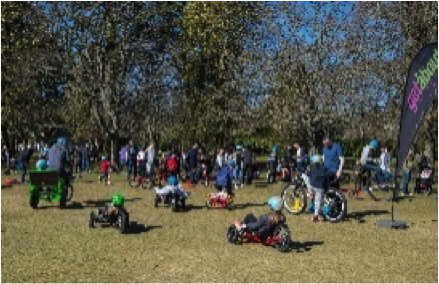 From free entry into Pets Corner, to brilliant stalls with loads of hands on activities, information about recycling, energy saving and grants for your home, to trying out all sorts of bikes (even a unicycle! ), the little and big kids among us will have a whole heap of fun while learning. Something for all ages, come and see what you could do to live a little greener and help the planet! Further details: Free event. First Bus 11 or Stagecoach X17 go to Queen’s Road. Mind Management, Diet & Health, Sound Healing, Emotional Freedom, Hand Reflexology, Healing Narratives and Reiki taster sessions! Event description: 10am - 10:45am - Mind Management: our frame of mind-body connection determines the type of day we are going to have. Where do our habits and beliefs come from? Can we really change our lives by changing our minds? Come learn the basics on how to effectively manage yourself. 10am - 10:45am - Diet & Health: how to deal with specific illnesses brought by the participants on how to change your eating habits to lessen its symptoms using plants, fruits and vegetables. 11am - 11:45am - Sound Healing: explore and experience the ability of sound and to produce relaxation and physical well being. 12pm - 12:45pm - Emotional Freedom Technique (EFT): anger, jealousy, happiness, stress, fear and so on are feelings that have a massive impact on your body. EFT is a self-help tool that allows you to find the cause of your distress and use it to physically/emotionally benefits. Accept and release these feelings by tapping on specific acupuncture points on your body. 1pm - 1:45pm - Hand Reflexology: informative and highly interactive session where you will learn some simple yet effective ways to reduce stress and aid sleep through working on your own hands. You will apply light pressure to points on your own hands. 2pm - 2:45pm - Healing Narratives: many of our stories we subconsciously tell ourselves are not very helpful, find out how to swap them for better ones and its effects. 3pm - 3:45pm - Reiki Taster: gives a brief description of what Reiki is and how it works. Each person attending will be given a short treatment by Reiki practitioners. Further details: Donations for room rental are welcome, although not necessary for attendance. Diet & Health, Meditation, Mind Management, Foraging Walk, Facial Reflexology, Emotional Freedom, Drumming, Laughter Yoga taster sessions! Event description: 10am - 10:45am - Meditation Season by Season: deep meditation can produce many benefits, learn how to work with nature and the seasons to find peace in a busy life. 11am - 11:45am - Mind Management: our frame of mind-body connection determines the type of day we are going to have. Where do our habits and beliefs come from? Can we really change our lives by changing our minds? Come learn the basics on how to effectively manage yourself. 12pm - 1:45pm - Foraging Walk: is weather dependant, we will be leaving The Treatment Room with award winning author Fairley Taylor and taking a gentle stroll to Port Elphinstone identifying medicinal plants on the way. Giving their history and what she uses them for. 12pm - 12:45pm - Mini Facial Reflexology: using very light pressure on some of the reflexology points of the face for approximately ten minutes results in a very relaxed stare. 1pm - 1:45pm - Emotional Freedom Technique (EFT): anger, jealousy, happiness, stress, fear and so on are feelings that have a massive impact on your body. EFT is a self-help tool that allows you to find the cause of your distress and use it to physically/emotionally benefits. 2pm - 2:45pm - Drumming: experience shamanic drumming and the use of rhythmic drumbeats and to unwind, release tension and have fun. 3pm - 3:45pm - Laughter Yoga: come and laugh for health and happiness. No mats, no special gear needed for this just come along to find out why "laughter is the best medicine". Seedy Sunday seed, food & drink festival! Event description: Join us for a celebration of the best of Aberdeenshire. Lots of local food, drink, craft and gardening stalls; seed and plant swapping; cookery and horticulture demonstrations; talks and workshops; children’s activities and lots more. ​Climate Activism Workshop new event! Event description: Want to get active on climate change but not sure where to start? From school climate strikes to road blocks, we have seen a rise in people taking action on climate change over the last few months. This workshop, run by Friends of the Earth Scotland, will give participants a chance to explore different types of activism, as well as when and why you might use them. It will also cover some practical skills such as picking a strategic target, tips on planning a creative action and building strong groups. Further details: Free event. Spaces are limited, so register here on Eventbrite to confirm your place. 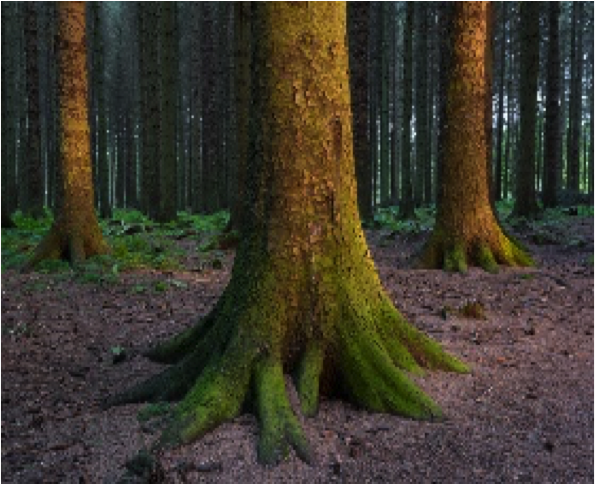 Event description: Neil, the Ranger, will talk about sustainable forest management and carbon capture, as well as looking at some of the plants and animals in Countesswells Forest. Walk will be suitable for families and 1.5 to 2 miles long. Further details: booking is essencial on morayandaberdeenshire.fd@forestry.gsi.gov.ukor 03000676200. Free event. Car parking charges. Seasonal Scottish Pancake Day new event! Event description: the previous event (The Sharing Table) has changed and we will now be doing a seasonal Scottish pancake day. And herbal teas (using herbs from our allotment). All money from the teas and part of the money from the special seasonal pancakes will go towards climate change week. Further details: Free entrance and pay what you eat and drink. Event description: A conference for secondary schools to discuss climate action using a model United Nations format. Further details: invited schools, guests only. No cost. 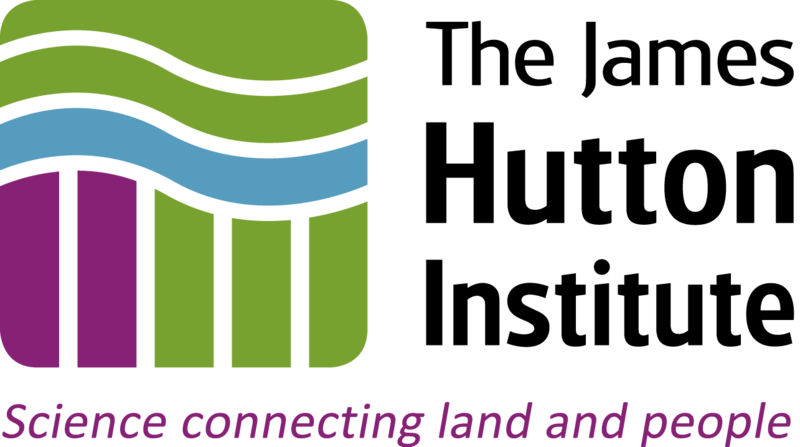 Event description: Sue Lawrence from Scottish Natural Heritage will talk about Climate Change and Biodiversity in the North East. Sandy Scott from ACC Parks and Countryside Manager will talk about Climate Change and Aberdeen’s Parks. 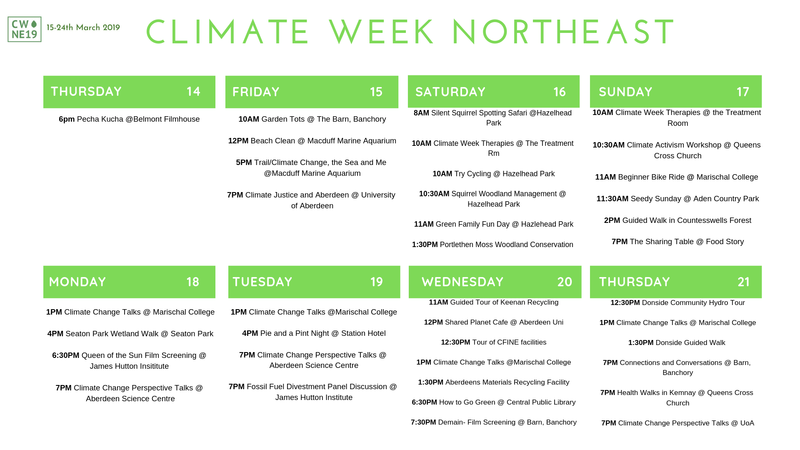 Further details: Free events, but booking required on https://www.eventbrite.co.uk/e/climate-week-north-east-lunchtime-talks-tickets-54587431477. Aberdeen's Materials Recycling Facility watch your recycling get sorted! Event description: Visit Aberdeen’s brand new Materials Recycling Facility (MRF) at Altens East (next to Doonies Farm). This is where all of the recyclable materials that are collected by the Council from households and businesses are taken to be sorted into the separate waste streams ready to be sent away for recycling. You can see what the material looks like when it is delivered, watch it going through a process of conveyor belts, optical, magnetic and ballistic separation equipment and then see the finished products ready to go for reprocessing. Further details: need to pre-book on MRFtours@aberdeencity.gov.uk. Numbers for this tour are strictly limited to 10 per slot. For transport, use First Bus Nº 18. 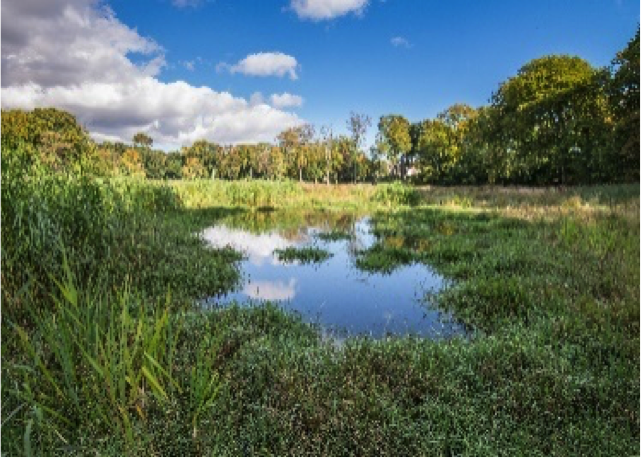 Event description: join Countryside Officer and Environmental Planners for a walk around the new Seaton Park Wetland and path network to learn about how it is helping to make Seaton Park climate change ready and better for wildlife. ¨Queen of the Sun - What are the Bees telling us?¨ film! 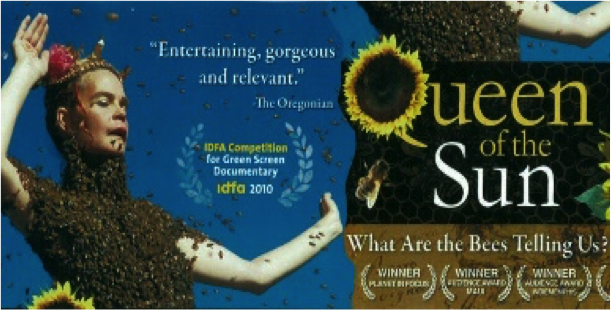 Event description: Film screening of the “Queen of the Sun” which is an alternative look at the global bee crisis from Taggart Siegel. The film will take you on a journey through the catastrophic disappearance of bees and the mysterious world of the beehive. This engaging and ultimately uplifting film weaves an unusual and dramatic story of the heartfelt struggles of beekeepers, scientists and philosophers from around the world including Michael Pollan, Gunther Hauk and Vandana Shiva. Together they reveal both the problems and the solutions in renewing a culture in balance with nature. Following the film, a panel including scientists will discuss their own work in relation to the film and highlight simple actions you can do to help bees and other insects. Further details: Free entry. Booking via Eventbrite https://bit.ly/2IP7jdN. More information on https://www.hutton.ac.uk/events. Event description: Five speakers from Aberdeen University, STEM Ambassadors and Home Energy Scotland will give short talks about the impact of climate change on development, teaching about climate change, transport options and how to do something about it in your home. One hour of presentations will be followed by an hour of questions and answers and teas and coffees. Further details: Free events, but booking required on https://www.eventbrite.com/e/climate-change-perspectives-asc-monday-18th-march-tickets-53994255271. Further details: Free event, but booking required on https://www.eventbrite.co.uk/e/climate-week-north-east-lunchtime-talks-tickets-54587431477. All attendees at the One Seed Forward talk will receive a free bag of seed potatoes to take home. Gray Donald, University of Aberdeen: "Climate Change Education- UNESCO, action and inaction". Sarah Klimt and Camilla Seeland, University of Aberdeen: "The MSc Program Environmental Partnership Management". Caitlin Cottrill, University of Aberdeen: "Transport: Cleaning up Our Act". Rachel Williams, Home Energy Scotland: "Counting the Cost of Climate Change with Home Energy Scotland". Further details: Free event, but booking required on https://www.eventbrite.com/e/live-climate-change-perspectives-asc-tuesday19th-march-tickets-53994384658. Event description: Presentations and stalls. Further details: Targeted event for employees only​​. Event description: Join us for a guided tour of the process used to recycle the North East of Scotland’s food waste. You will be able to see how food waste is converted to BSI PAS100 approved compost. Further details: Free event. Sturdy footwear and warm outdoor clothing are required. PPE (Personal Protective Equipment) will be provided. Numbers for this tour are limited to 15. Booking is essential on info@keenanrecycling.co.uk or 01771644883. Shared Planet Café healthy cuisine! Event description: We are back with our cheap, vegan and healthy cuisine! As usual, we will have our soup and toasties for one pound! We are always keen to meet new people. Community Food Initiatives North East tour of facilities! Event description: Interested in learning more about food waste reduction? Fancy seeing ‘behind the scenes’ of a FareShare distribution point? Or just want to see our electric Tuk-Tuk in person?! 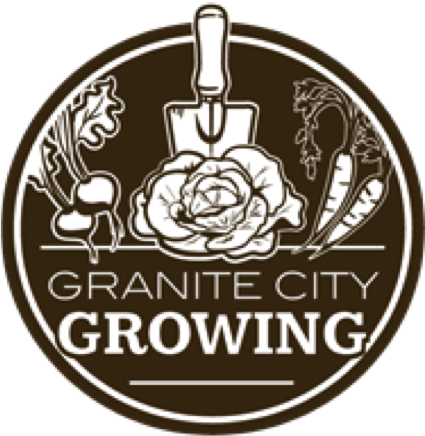 We’ll be running tours of our facility. The tour will be followed by soup, nice bread and fruit pot lunch with questions and discussion. Further details: Open to all. For transport, take any Stagecoach or First bus which arrives at Union Square or drops off on Union St. and from there walk down Market St (towards Torry) – we are a 5 min walk down market street (past Union Square) on the right hand side, on Poynernook Road (you will see the 210 Bistro on the corner, and Kwik-Fit opposite us). Alternatively, take First Bus Nº 12 (Torry) or Nº 59 (Torry) which will travel down Market St, stop before Victoria Bridge. Any queries contact: info@cfine.org. Further details: Free event, but booking required on https://www.eventbrite.co.uk/e/climate-week-north-east-lunchtime-talks-tickets-54587431477. Further details: Free event. More details on our Facebook page. Film Screening 'Demain - Travel the World of Solutions' film! Event description: Take this opportunity to see Scotland's first urban community hydro scheme in operation. This multi award winning scheme is situated in the heart of Tillydrone, on the banks of the river Don, next to Donside Village. Creating power by harnessing the energy of the river, in harmony with the environment, this scheme (managed by ACEnergy) is completely run by volunteers. ACEnergy is a not for profit company, with volunteer directors, that will return profits both to the investors and to the community. If you wish, follow up your tour with a guided walk with the Aberdeen City Council Countryside Ranger Service and see the wildlife that abounds between Donside Village and Donmouth, taking in the amazing Seaton Park as you go. Please book separately. Further details: to see the Donside hydro power station at 12:30pm booking is essential by sending an email to jane.fullerton@yahoo.co.uk. If you want to do the guided walk afterwards, stay at the same venue and meet the Countryside Ranger at 1:30pm. Event description: Join Aberdeen City Council Countryside Ranger Service for a guided walk along the river Don from the Donside Community Hydro, see the wildlife that abounds between Donside Village and Donmouth, taking in the amazing Seaton Park as you go. The area is a haven for otters and kingfishers, to mention a few, so come along and see what wildlife you can see. If you wish, join first the Donside Community Hydro tour (12:30 to 1:30pm) and follow up from there to our guided walk. Please book separately. Further details: If you want to do the guided walk, meet the Countryside Ranger at the Donside Village Hydro at 1:30pm. Booking is also essential by phone 01224326429 or email countrysideranger@aberdeencity.gov.uk. If you also want to see the Donside hydro power station before it (at 12:30pm), just stay at the same venue after to follow up both events (bus First 19). Event description: Angela Joss from Aberdeen Inspired will talk about ¨The BID Bee Project¨. Mel Booth from ACC Senior Housing Strategy Officer will talk about Climate Change and Aberdeen's Local Housing Strategy. Event description: Zero waste but not zero taste! Join us for an environmentally-conscious dinner that focuses on reducing food miles and waste. Ingredients will be sourced from local suppliers with the aim of using every part of each ingredient. Further details: 3 courses + sorbet @ £30 per person. Menu + Book here (booking essential) https://m.bpt.me/event/4051521. Event description: What can art contribute to climate change thinking? Join Professor Emeritus Anne Douglas and Chris Fremantle, founder of ecoartscotland, leading academics and thinkers in the field of arts and ecology, and other guests to discuss pertinent issues around declining biodiversity and climate change and to consider how artists and others respond to our ever-changing world. The event will be anchored around the work of two internationally renowned figures of arts and ecology; California based artist Newton Harrison and British artist John Newling. As part of this event Newling’s ‘The Last Islands’ book and the ‘Golden Calf’ will be on display in our performance space and Newton Harrison’s ‘Deep Wealth of this Nation’ works will be exhibited in our gallery. Both artists have undertaken long-term residencies at the Barn and these pieces represent a long and engaged response to the Barn’s spaces and site. This will be a very special event where individuals can have an intimate experience with thought-provoking works and explore through discussion different layers of references and questions that stimulate longer contemplation. Come along and discover connections and conversations! Further details: Exhibition and bar open from 6.30pm | 7pm - 7:30. Presentation followed by open discussion. £3 ticketed event all proceeds go to the Barn’s Arts and Ecology Programme. Event description: Four speakers from the University of Aberdeen and Robert Gordon University will give an overview on the science of climate change, the impact on development goals, on food choices and on behaviour change before Mairi Gougeon MSP, Minister for Rural Affairs and the Natural Environment will talk about the Scottish Climate Change Bill. Talks will take about one hour with a sessions for questions. Event description: Talk by Rob Mackay on how to create a local walking group and the benefits it brings. Climate Week Artist in Residence Sharing new event! Event description: Aberdeen Performing Arts has teamed up with Creative Carbon Scotland and the James Hutton Institute to host an artist’s residency for Climate Week North East 2019. During the week the artist will spend time at the heart of the Institute, engaging with its work on innovative and transformative science for sustainable living. They will research and question the impacts that climate change is likely to have in North-east Scotland, with a focus on uncovering the stories behind the Institute’s research and the narratives of change implied by the data collected, as well as potentially offering creative responses to research underway. Join us for this informal sharing of the artist’s process, findings and first thoughts. Further details: This is a free event and no ticket is required. For further information please contact Lesley Anne Rose, Head of Artistic Development, Aberdeen Performing Arts lesleyanne.rose@aberdeenperformingarts.com. Event description: Alison Leslie, Sustainable Development Officer will talk about Aberdeen Adapts, building resilience to a climate change. Ian Talboys is the ACC Countryside Officer and he will be speaking about the Adaptation of Aberdeen sites to mitigate climate change. Further details: Visit Aberdeen Student Parliament's Facebook page for further details. Further details: More event details on https://www.eventbrite.co.uk/e/from-trash-to-treasure-upcycling-demonstration-and-inspiration-tickets-54699866774​. How To Eat Clean in a Dirty Planet tasters & demo workshop! Event description: How to eat clean in a dirty planet. Join Debbie the vegan caterer, using foraged plants, and learn how tomake granola, pancakes with toppings, nettle and tattie soup, nettle and hazelnut pesto. Further details: Booking is essential as space limited. Contact Debbie on 07788497193 (cost £25)​​. Event description: A sustainable fair with lots of stalls selling local and recycled products. Check out the upcycled furniture, toys, recycled silver jewellery, vegan sweets stalls among others and listen to some amazing talks. Outside there will be some electric cars and bikes to have a look at. So come along and have some fun! Further details: Free event https://www.eventgoat.co.uk/balmedie/climate-conscious-exhibition/​. Organisation: Leith Hall (National Trust Scotland - NTS), in conjunction with the Royal Scottish Forestry Society. Event description: Self-guided. Spring Tree Trail through the grounds and into café (where we use produce from the garden throughout the season). Further details: Entry to the Aquarium: Adults £7.25; Child (5-15) £4.25; Child (age 3-4) £2.90. Event description: Come along to the Science Centre to celebrate Climate Week Day on Sunday 24th March. Climate change affects us all, with human activity causing the Earth to get warmer in the last 100 years. Our Earthy is not feeling well, so come and see how to make it feel better. Discover how wind farms and other renewable energy help us meet our energy demand while combating climate change. Find out why Climate Change matters and the effects climate change on us, in years to come through interactive shows and workshops. Further details: Volunteers will be given a safety briefing at 10.00 am and provided with equipment to aid the beach clean. It is reminded that participants are required to dress appropriately, including warm clothes and good footwear. IMPORTANT SAFETY UPDATE: Please read carefully. Due to scheduled training activities taking place at the Blackdog Firing Range on Sunday, the beach clean area has been moved south of Blackdog Burn and WILL NOT take place in areas to the north as previously planned. Please see an updated version of the beach plan below. As the beach clean area has two burns within its boundaries volunteers are reminded to bring good footwear, preferably wellies. Check the facebook page for more details and to see a map of the meeting point. Event description: Riders to visit Anguston Farm for coffee & cakes. 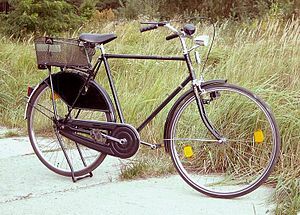 The ride from Duthie Park to Easter Anguston Farm will be about 10 miles, slow and easy on the Deeside Way. It is a ride for all levels of ability from kids and inexperienced to the more experienced riders wanting a potter. Further details: Everyone welcome, just bring a bike​. The ride will be easy and slow, mainly on the Deeside Way, led by trained leaders. See http://www.ctcgrampian.org.uk/ for more details. Further details: If you want to do the guided walk, meet the Countryside Ranger at the Donside Village Hydro at 1:30pm. Booking is also essential by phone 01224326429 or email countrysideranger@aberdeencity.gov.uk. If you also want to see the Donside hydro power station before ir (at 12:30pm) that is fine, just stay at the same venue after to follow up both events (bus First 19). Event description: Self-guided Spring Tree Trail through the grounds and into café (where produce from the Hall garden is used throughout the season). Event description: Jack sells his cow for a handful of beans but little did he know the trouble they would land him in. Join Jack and his talking beans for an eco adventure for the whole family. Further details: Tickets from www.skiddle.com. Adults £8; Children under 16 (accompanied by an adult) £1. Further details: Tickets are free and are available via Eventbrite.